USB flash drives and USB devices are very much popular today. Every computer devices like, Mouse,Keyboard, Printer, Webcam etc. comes with USB standard. 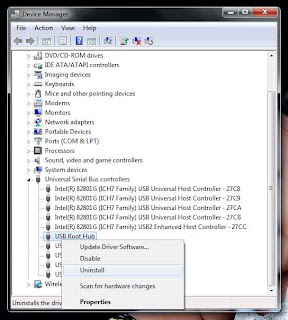 But sometimes while trying to connect your USB devices or drives to computer ( Assumes windows OS ), you may found an error message "USB Device Not Recognized". Here we are discussing some ways to troubleshoot this error. In some cases, just turn off your computer system may resolve your issue. Just shut down and remove and re plug your power supply pin. After a few minutes, Restart computer and re connect your device. It may resolve the issue. 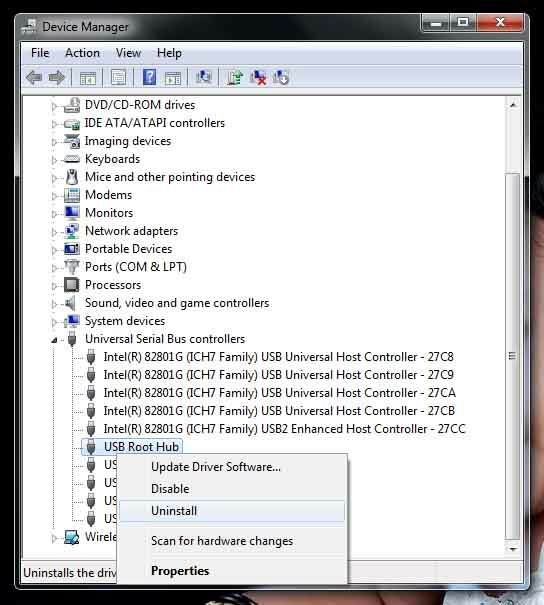 Uninstall and Reconnect USB Device. If the above method doesn't works, try this method. b) Type devmgmt.msc and press enter. Device managent window will be open. c) Find Universal Serial Bus Controller. Expand by clicking (+) button. d) Right click on USB device and click Uninstall. g) Plug your USB device. If above two method doesn't work, try this method. c. Right click on device and uninstall. Then Uninstall each USB driver. 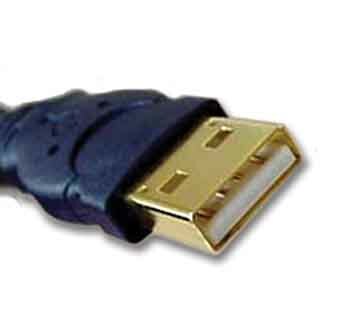 Microsoft provides a software which can automatically diagnoses and repairs USB related common issues. It will be helpful if download and install this tool.